Source: “Principles of Socialism. 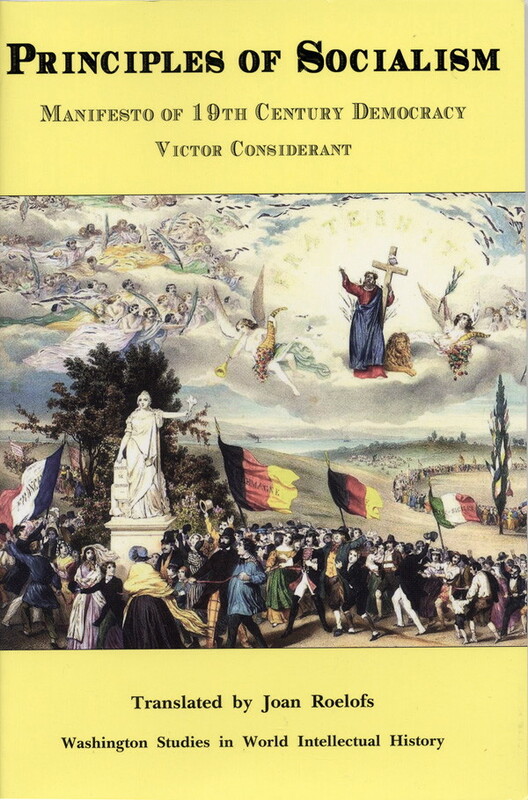 Manifesto of 19th century democracy,” by Victor Considerant, translated by Joan Roelofs, Washington Studies in World Intellectual History, published by Maisonneuve Press, 2006. First Published: Paris 1847, reprinted by Otto Zeller, Osnabrück, 1978. Translated: for Marxists.org by Joan Roelofs. I. Of the interests and needs of society. Immobilist Democracy, or the Standpat-conservative party. Retrograde Democracy or the revolutionary party. Progressive Democracy, or the Party of Peaceful Reorganization. II. DOCTRINES OF THE JOURNAL PEACFUL DEMOCRACY. General idea of human Destiny. Religious Unity; – Free Inquiry. Social Unity; – The Right to Work. Peaceful Democracy, Journal of Governments’ and Peoples’ Interests.